Just prior to the race, I read Mara Abbott’s recap of her race in Rio. After leading for most of the day in a courageous solo breakaway, Abbott was reeled in with 300m to go and ultimately finished 4th. She’s a phenomenal bike rider, but she may be an even better author. The key passage that resonated the most with me in what she wrote was when she talked about how she had truly had her perfect race. Or, would you rather honestly know you had ridden a race to the very best of your strength and ability, know there was nothing else you could have done and have that be…not…quite…enough? Ultimately, due to simple physics and physiology, cool and wet days are better days to run fast as opposed to a hot humid day where it’s better ride fast, but the conditions are still the conditions. Having conditions that do suit your strengths is certainly good luck, but it’s hard to really think that having normal conditions – and thunderstorms in the Northeast are certainly normal in August – that just happen not to suit your strengths is bad luck by any means. On the luck front, given that I was able to get from start to finish without anything unexpected happening to me, I’ll say that luck was on my side for this one. Breakfast: Largely unchanged in the past 8 years, it’s Laughing Giraffe snackaroons, a banana, First Endurance Ultragen with almond milks, and Envirokidz rice cereal bars to net just over 1000 calories. T1: EFS Liquid Shot Flask, trying to get most of it down, so call it 250-300 calories. Bike: 2x550mL bottles on bike of EFS PRO at 9 scoops (360cal) each. Plus another 2 identical bottles in special needs. Then water and gatorade as desired on course. So call it 1600-1800cal on the bike. This is quite similar to what I used to do, and I think it’s sound. Not sure why I ever changed it, except that I’m an idiot. Nothing I’d change here in terms of planning or execution. The swim, despite being quite slow, was actually a very good swim for me. It was non-wetsuit, it was pretty rough in the second half, I managed to close quite a few gaps that opened during various points in the swim, and my relative time to both the leaders (3:20 down) and various female pros was quite solid. It may have taken me 58:59 to swim 3.8km, but it was a strong swim. Heading out on the second lap – and the less technical part of the course, I was able to pull myself together. I was able to get back into a solid rhythm and – with a strong headwind on the return leg, I was able to execute a very solid ride. I think this was probably the most evenly paced Ironman ride I’ve ever done (link to Strava file). As a comparison with last year, I rode the Duplessis climb 1% harder than my first trip up Duplessis in 2015, but I rode the second time up almost 4% harder than in 2015. I even managed to set a ridiculous top speed that I think is my highest ever – 88.6kph/55mph (that was BEFORE it started raining though…). Ultimately, there was absolutely nothing that I’d change (except for winning) or that I think I could have done better on the day (except for winning). I gave it everything I had on the day and someone else – though one someone, not someones – was just better. I have no excuses. I raced to the very best of my ability and it was just not quite enough. This time… Unlike an Olympian, I only have to wait seven weeks to race again, and I only had to wait a year to have another crack at Kona after last year’s mishap. 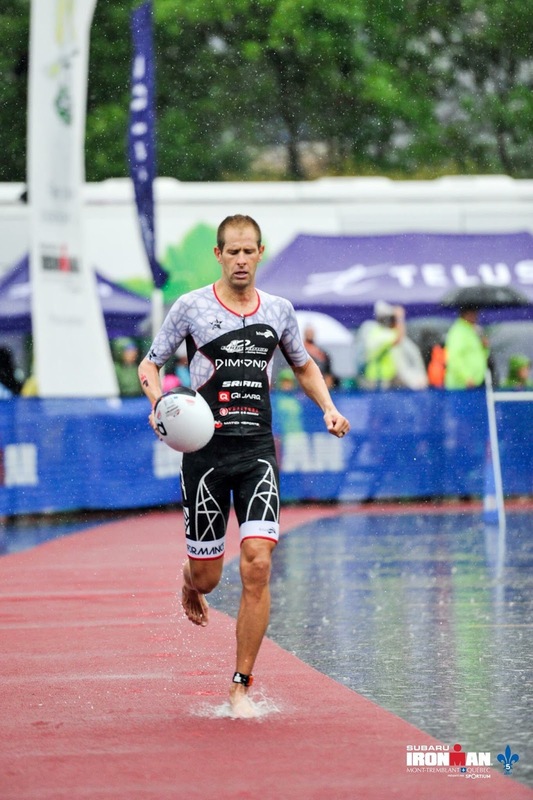 I think this was one of my five best Ironman race performances ever. Better than last year in Tremblant in spite of the result. Better than Ironman Arizona 2009. Not as good as Canada 2009 (1st), Texas 2012 (2nd), Canada 2011 (3rd), NYC 2012 (4th). Just based on the similarities – topographically speaking and, at least most of the time, weather-wise, I think an 8:30 for me in these conditions in Tremblant makes me feel confident that I can go 8:25 or so in Kona in six weeks. Tremblant has a VERY long T1 (but T2 is a bit shorter than Kona, so there’s maybe a minute here) and the swim this year was relatively very slow (though Kona last year was slow too, only two minutes faster). But really, I think my time in Tremblant is a good predictor of my time in Kona. 8:25-8:27 would have put me in a position to fight for 6-10 last year. And for 9-10 in 2014 and 2013, fighting for the podium(!) in 2012, 10th in 2011 (when Crowie set the course record), and pretty consistently either fighting for 6-8 or 8-10 depending on whether or not it’s a slow year (conditions that favor me) or a fast year (conditions that don’t). This is because I tend to be much more consistent than other folks despite the weather/conditions. Sure, I slow down, just like everyone else does, when it’s brutally hot, I just seem to slow down less. And likewise, I speed up, just like everyone else does, when conditions are fast, I just seem to speed up less. Fortunately, Kona is relatively consistent – it’s always hot, humid, windy, and (mostly) dry, all of which means it is relatively slow. Much more so than most other courses. This is just the nature of the tradewinds on the islands. Hilo is wet. Kona is dry. Hawaii is hot and humid. The Pacific is windy. I also know that I still have speed to gain. Tremblant was a good plan, and I executed it promptly. But it’s been a rather up-and-down year. And I’m glad to have six weeks – which really is quite a long time – to put some specific preparation (but not too much) in place for Hawaii. 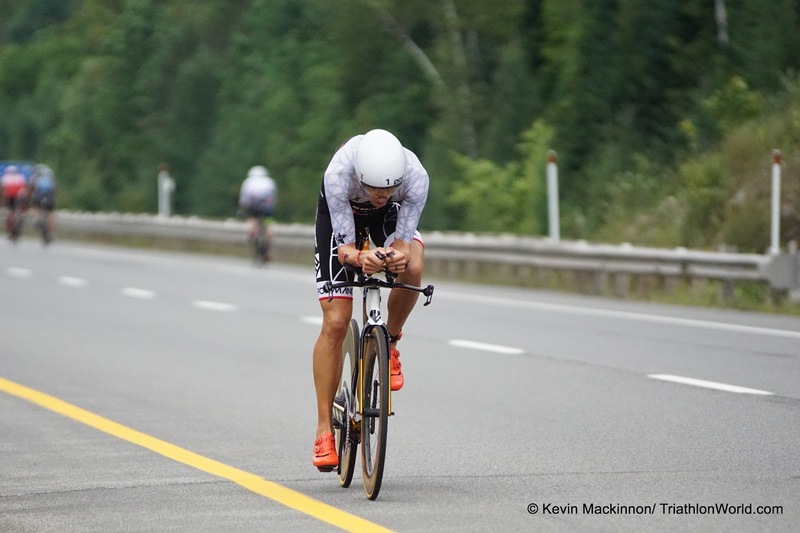 Last year, I wondered if I could even be as fast in Kona as I was in Tremblant. This year, I know I can be faster.